Prominent textile manufacturer Henry Lippitt, his wife and six children lived in this opulent Italian Renaissance Revival house, a testament to the burgeoning wealth of industrial Providence. Lippitt’s business ventures and investments proved so successful that he could afford to begin construction on the house in 1863, at height of the Civil War. Henry Lippitt’s proclivity for the intricate processes of textile manufacturing lent itself to other areas, as well. He designed innovative systems for heating and plumbing for his new home on Hope Street that had never been used before in non-commercial buildings. Perhaps concerned that his heating system would not function as well as he imagined, Lippitt included a financial penalty in his contract with the construction company in case the heating did not work when the family took up residence in the winter of 1865. Henry Lippitt was not the only innovator in the Lippitt family. His wife, Mary Ann (Balch) Lippitt, promoted the oralism (lip-reading) method in the education of deaf children. The Lippitt’s daughter, Jeanie, had lost her hearing at the age of four due to a bout with scarlet fever. Mary Ann Lippitt advocated high-quality education not only for Jeanie but for deaf children across the state: she founded the Rhode Island School for the Deaf, still in operation today. The Lippitt House remained in the family for 114 years. 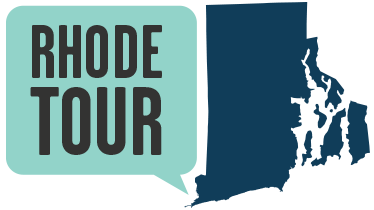 Preserve Rhode Island now operates this National Historic Landmark as a museum. Lippitt House Exterior c. 1958: To run this 30-room household, the Lippitts employed six live-in servants under the supervision of Mary Ann Lippitt. Three of the six servants were born in Ireland, and, in fact, none of the servants were native-born Rhode Islanders. During the second half of the 19th century when this generation of Lippitts called 199 Hope Street home, waves of immigrants were coming to Rhode Island for new job opportunities. 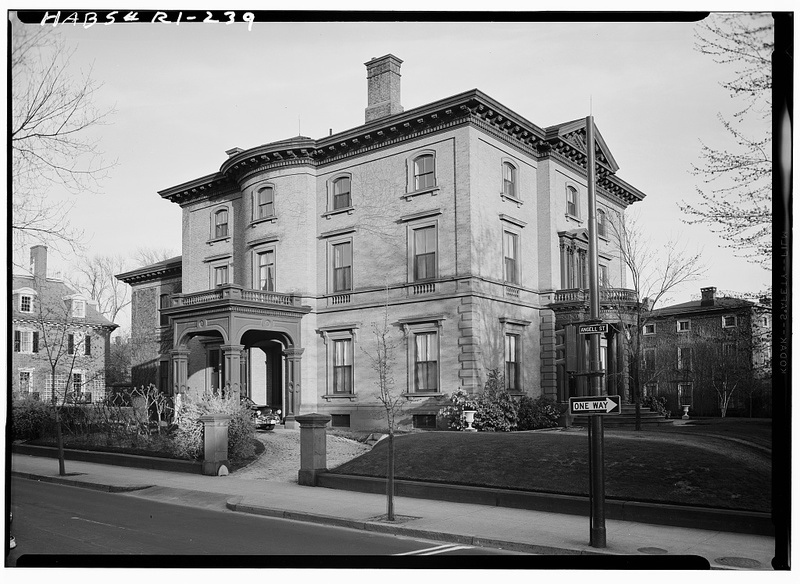 ~ Source: “Governor Henry Lippitt House, 199 Hope Street, Providence, Providence County, RI.” Library of Congress, Washington, D.C. 20540 USA, https://www.loc.gov/item/ri0222/. Accessed 10 Aug. 2018. 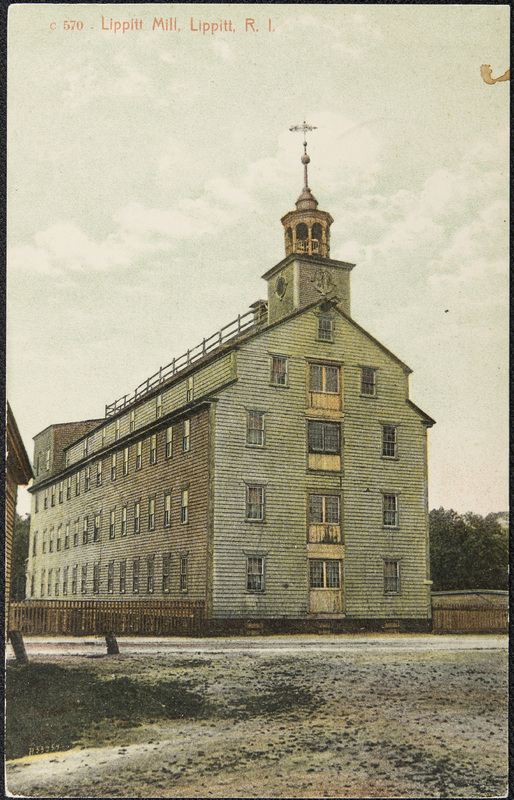 Lippitt Mill: The Lippitt Mill operated under the supervision of the Lippitt family through 1889. The Lippitts sold the operation to B.B. Knight and Robert Knight, founders of Fruit of the Loom. 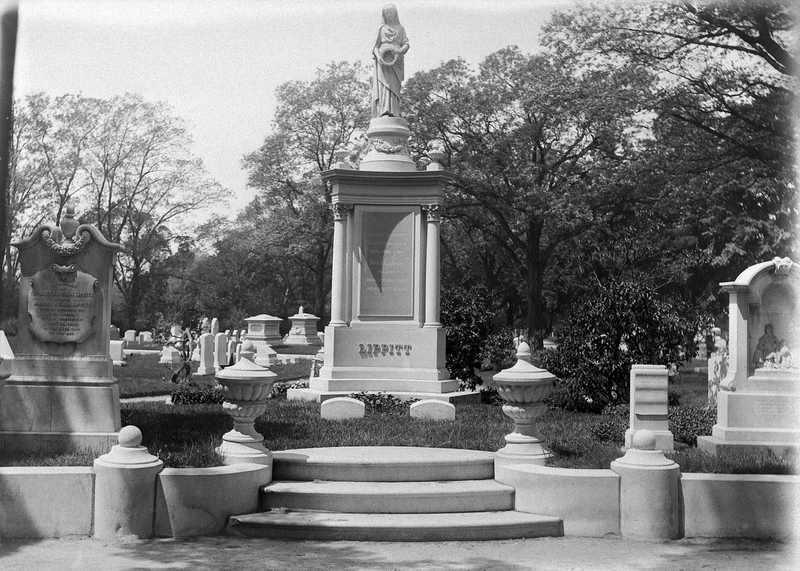 Lippitt's Grave: Some of Henry Lippitt’s descendants also made significant marks on Rhode Island, including Charles Warren Lippitt, Rhode Island Governor; Henry F. Lippitt, U.S. Senator from RI; John Chafee, Rhode Island Governor, U.S. Senator, and Secretary of the Navy; and Lincoln Chafee, U.S. Senator and governor of Rhode Island. Lippitt's grave is located in Swan Point Cemetery on the Seekonk River in Providence. The textile manufacturing boom began in Rhode Island with Slater’s Mill, established in 1793, followed by Lippitt Mill in 1808. To see where Lippitt made his textile fortune, take a drive to West Warwick where you can see the Lippitt Mill, which has been renovated into apartments. Elyssa Tardif, “Governor Henry Lippitt House,” Rhode Tour, accessed April 21, 2019, http://rhodetour.org/items/show/193.